This month is very special. We actually have added to the roster, and we are proud to announce the addition of two artists we have been following for the past couple years. Please welcome Moonlight Towers and Nels Andrews. They are terrific, if you don’t know them already, please check them out when you get a chance. Welcome guys! Ed Jurdi played the soup kitchen on December 2. The kitchen staff thought he had the biggest applause and reception of anyone who has played there. Ed seemed to enjoy the audience too. Thank you so much for playing! Laura and Michael Fracasso made it home safe and sound from the UK and Ireland on November 3. Other than no days off (sorry Michael! ), it was a great 14 day tour with really friendly crowds… some small, some medium sized, and all very kind and receptive. Laura was able to re-connect with several UK contacts and meet many new ones in both the UK and Ireland. Thanks to everyone for the hospitality. Ana Egge hopes to tour the area next, post SXSW. Amanda Cunningham contacted us last month, and she will be the Friday Kitchen Concert volunteer on November 11. We are looking forward to her music! We know it’s early, but the latest news flash: Wednesday March 15 will be the annual roster party, and it will be at Guero’s once again. Let’s hope for sunny skies. Also, March 15-16-17 will be our 5 year anniversary of SXSF, South By Soup Fest. We are excited already. Happy October! October 18 – November 3, Laura will be on the Michael Fracasso UK/Ireland tour. See Michael’s web site for complete information. There will be someone checking phone messages during that time and passing them on to each artist. Laura will try to handle emails herself during this timeframe. Wish her luck as she tries to figure out technology overseas… SIM cards, bluetooth, usb adapters and more! If possible to contact before or after these dates, we would truly appreciate it. It’s a busy month… before Europe, Laura will be attending The Hardly Strictly Bluegrass Festival in San Francisco October 1-2 where Michael, AJ and Ana will all be performing. Laura will be able to attend thanks to a free airline ticket generously donated by Guy Browne of the LapSit House Concert Series. Thanks Guy. And btw, congratulations on your marriage to Caroline! If anyone else has ticket vouchers sitting around, Laura and some of the artists she knows can put them to use, please email her. Also, October 7, Laura will be attending the Southwest Regional Folk Alliance in Lakeway. She will be a mentor in one of the early morning sessions, and she is looking forward to making new friends and contacts. Elizabeth McQueen will be in town for awhile… starting October 17, she and fellow Asleep at the Wheel band mate, Jason Roberts, will be hosting a five week Monday residency at Threadgills South. Go check them out! Colin Brooks is going to rock the Friday Kitchen Concert on October 14. Thank you Colin for being so flexible with your schedule. You’re the best. Looking ahead, some ComboPlate artists will be answering phones during the KUT fall fundraiser, the Folkways program on Saturday, November 5th. We will be answering from 10am-1pm, so mark your calendars now to call then. Laura will be attending the Americana Music Conference again this year. The conference is this month and is in Nashville, September 8-10. She will be speaking on a panel with Marie Arsenault w/Roughneck Booking and NY singer songwriter Stephen Clair. Should be fun! Thanks to this month’s Friday Kitchen Concert volunteer, Juan w/Black Water Gospel. Juan filled in last minute on September 2. Everyone loved hearing his songs. 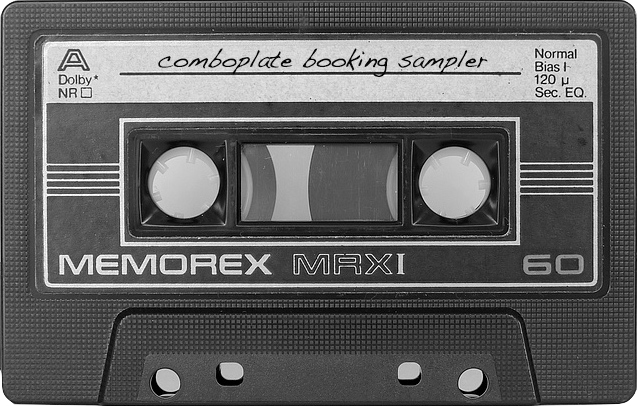 www.myspace.com/comboplatebooking. You can see a few photos of AJ and Laura on the UK Tour earlier this year… fun, fun fun! Matt the Electrician is a finalist at the Rocky Mountain Folks Fest. He will be in Colorado once again, August 19-21. We love you Matt, go get ’em. We haven’t noted a favorite booking contact in awhile, so let’s do that now… here’s a big shout out and thank you to Andy Peters with Frontier Music. Andy is a true music lover, and he’s great at pulling together all the pieces to make a great show. Thanks Andy. Michael Fracasso and Laura look forward to meeting you in Ireland this Fall. This months’s Friday Kitchen Concert volunteer is Woode Wood. Thanks for reaching out to us Woode, we appreciate it. Moonlight Towers/Moonlight Towers – go see them live, too, they rock! Matt the Electrician is one of 10 finalists in the Telluride Troubadour Competition. Wish Matt luck as he travels to Colorado the middle of the month. Go Matt! Milton Mapes will be playing a couple festivals this month – Twangfest in St. Louis and NXNE in Toronto – and they will also be touring down the east coast for the first time. Be sure to go to a show if you can. Lisa Bastoni will be this month’s Friday Kitchen Concert volunteer. Lisa just moved here from the east coast, and we are looking forward to hearing her tunes. Monsoon Wedding/movie soundtrack (in honor of all the weddings Laura will be going to this month and next… unfortunately, none in India). Our Welsh friend Jack Harris is coming to Texas – see the tours page for more information on all of his USA shows and his KUT appearance. Jack will also be this month’s Kitchen Concert volunteer. “Camp, Damn Right” will be back at Kerrville this year with Jack as our special guest. AJ Roach will be meeting up with Jack at “Camp, Damn Right” late May/early June, and Laura will be there for sure. Who knows… maybe another few off the roster might show up too. We will keep you posted of specific dates if there are any. Much love and gratitude to all of the musicians and volunteers who made SXSF/South By Soup Fest 2005 another successful year. Lots of touring going on this month…. Michael in Japan, Nathan in France/Netherlands, Eric in Oklahoma, AJ up in the Pacific Northwest, Milton Mapes all around the Midwest and Southwest, Elizabeth in Lousiana/Midwest, Ana up and down the East Coast. Go to shows and say hello. The April Friday Kitchen Concert was unexpectedly cancelled. We will resume next month. Rumor is that Operation Paint Fence might be completed this month. We hope so! Still looking for help… volunteers/interns/music enthusiasts. Office help such as mailing promo, posters, updating our data base…. and we just know, we just know, someone wants to make us a web site. March 16 is almost here……take the day off work, come play and hang out at our annual roster party, March 16 @ Gueros. We would love to see you. Schedule is the same as below (see February news). With donation of one canned good or $1 – you can win CDs or Tshirts donated by each artist – all proceeds will go to our friends at the Caritas of Austin Community Kitchen. It’s going to be fun! SXSF 2005 – South By Soup Fest is March 16/17/18 – Music for the clients of the Caritas of Austin Community Kitchen. This years’s SXSF has the most volunteer musicians yet – 23 artists from 6 countries and 16 cities are volunteering. News Flash: Former intern, Amber Byfield, saves the day…Thank you Amber for all of your hard work updating and creating new promo for the south by week. We appreciate it! Back from the UK, the “wee” (but big to us!) tour was a success, and Laura is looking forward to working more with the folks she met. AJ hopes to return in the Fall. And Jack Harris songs keep playing in our heads… we miss him already. Rumor has it that Jack might be making his way to Texas in a few months. Happy New Year! January 25 – February 6, Laura will be in the UK on the AJ Roach tour. There will be someone checking phone and email messages during that time and passing them on to each artist. If possible to contact before or after these dates, we would appreciate it. ComboPlate Booking always looking for volunteers or interns – right now someone to help with administrative tasks in the office would be great…. especially sending posters & contracts. And fingers are still crossed for that volunteer who might want to design and make the new web site. Email or call if interested. January 21 is the Friday Kitchen Concert and Jenny Reynolds contacted us on her own to volunteer. We love that. Jenny rocks in our book.